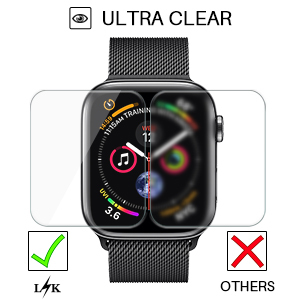 ATTENTION: Apple Watch 40mm Series 4 Screen Size is same as Apple Watch 38mm Series 3/2/1, only the Screen Display area is 30% bigger. 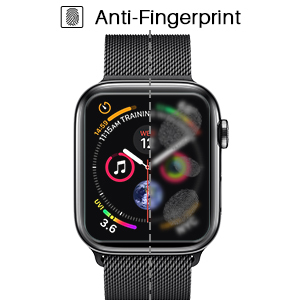 Our screen protector is designed for both Apple Watch 40mm Series 4 & Apple Watch 38mm Series 3/2/1.There's a gap between screen protector and Apple Watch screen for the case. 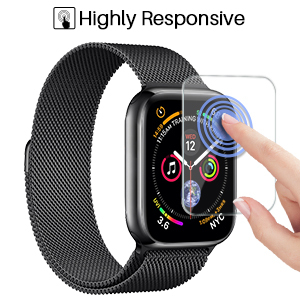 HD Clear screen protector with smooth glass-like surface and "True Touch" feel. 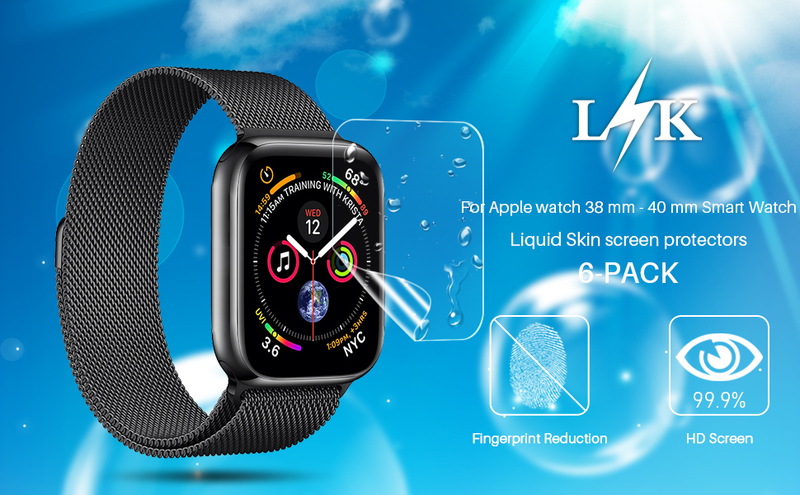 provide you high-definition clear viewing，You can enjoy a great viewing experience with more brightness and less glare.